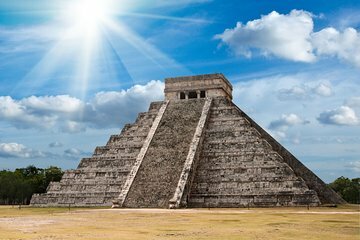 Escape the crowds of Playa del Carmen to explore Mexico’s ancient history on a full-day trip to the UNESCO World Heritage Site of Chichen Itza and a secluded freshwater cenote. Going with a guide is recommended, as the Mayan ruins are often unmarked and need explanation. Recharge after lunch at a natural sinkhole (cenote) in the jungle, an experience that visitors to the Yucatan often miss. My husband, 14 year old son and myself had a great experience. Our tour guide Rodrigo was extremely knowledgeable and entertaining. Strongly recommended!!! !